Opening your own bagel shop? In such a competitive business, we know that cafe owners are always looking for that point of difference; offering something extra with each patron’s coffee. Increasingly, customers are appreciating the stunning taste and texture of our fresh or toasted New York Bagels, either as a perfect snack accompaniment or a light yet filling meal. 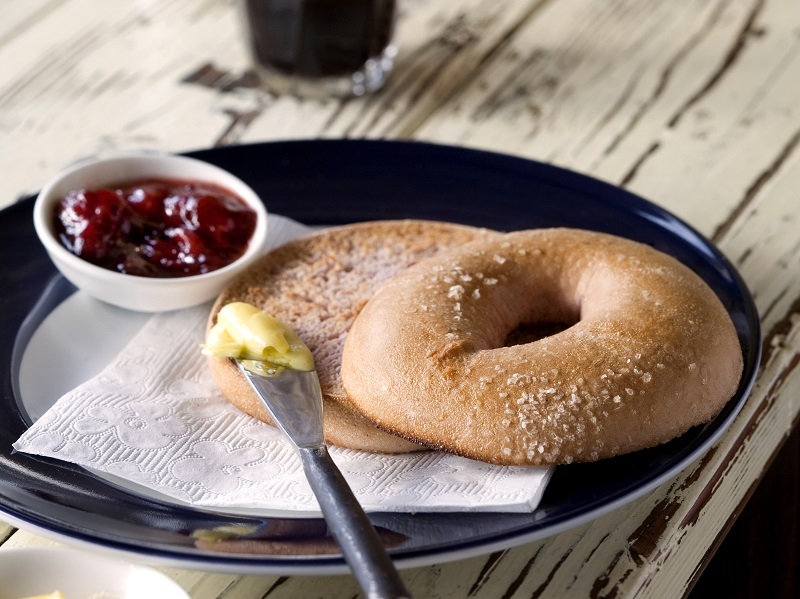 Our uniquely authentic New York style bagels, available to cafes either fresh each day or frozen par bake, offer a terrific range of traditional, sweet and savoury taste explosions. These include cinnamon and raisin, fruit and nut, sundried tomato, blueberry and many more great flavours, including gluten free. Using only the highest quality Australian flours and local and imported ingredients, our bagels undergo an innovative 18-hour process which both boils and bakes them to the perfect consistency. We’ve spent almost a quarter of a century making sure our bagels are the real NY deal and never just a bread roll with a hole found so often in Australia! They offer flavour flexibility, are so easy-to-use, as many Melbourne area cafe owners already know. As you’d expect, we operate to HACCP food safety accreditation standards. To find out more, email us at sales@nybagels.com.au and we’ll call you back. Alternatively, a call to 03 9878 4228 will find us happy to answer any questions about our extensive range and size options, and then organise the first delivery of NY Bagels to your cafe.